It is important for you to understand that if you are arrested for driving under the influence of drugs or alcohol, it doesn’t mean that you are going to be convicted of DUI. Even though you might think that you don’t have any options, you do. Once arrested, it is very important that you speak to Sacramento DUI attorney David Knoll as soon as possible. David Knoll tells you what choices you may have. He questions you about the initial police stop, how the officers handled themselves at the scene, and how you responded. He finds out if this was a first offense, or if you have a history of such arrests. Every piece of information and evidence determines the kind of defense David Knoll can provide for you. There are two laws governing DUI in California. The first declares it is against the law for a person to drive a vehicle if he or she is impaired by drugs, alcohol, or both. 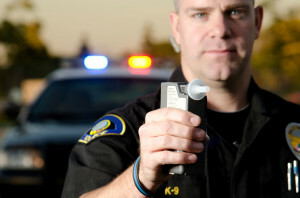 There is no set blood alcohol level (BAC) written into this law. A driver with a BAC level of 0.5% may be impaired, while another driver with a BAC level of 0.7% won’t be impaired. Impairment is the key to the arrest, not the BAC level. The second law deals only with drunk driving and states it is against the law to have a BAC of 0.8%, regardless of how little or how great the driver’s impairment. After more than twenty years of representing DUI defendants in Northern California, Sacramento DUI attorney David Knoll knows of several ways to get your charges reduced based on your blood alcohol and impairment levels, especially if it is a first offense and no one was injured. In this scenario, you might only be charged with a DUI misdemeanor, not a DUI felony, and you may receive probation instead of a jail term. DUI attorney David Knoll has years of experience evaluating, negotiating and getting his clients the best possible results from each of their unique DUI allegations. Felony DUI is a very serious offense and representation from DUI lawyer David Knoll is vital to your future. You have one or more previous DUI felony convictions. The felony DUI penalties in California are largely dependent upon whether you injured or killed someone while under the influence. If there was not an injury or death, you could be looking at 180 days in a county jail or sixteen months to four or more years in a California state prison. With a death or injury, prison time increases dramatically. Significant increases in your automobile insurance. DUI attorney David Knoll works with the district attorneys and judges to reduce your charges if possible and to represent you effectively at trial. For a skilled defense during drunk driving cases, you want DUI attorney David Knoll working in your corner! Don’t go it alone — contact our Sacramento law office today! If a law enforcement officer stops you on suspicion of driving while intoxicated (DUI), he will ask you to perform several field sobriety tests and have you blow twice into a Breathalyzer. If he determines you were driving drunk or under the influence of drugs, he will take you to a police station, jail, or hospital where you will undergo another breath test as well as a blood test. In the state of California, if you refuse to take any of the tests, it will work against your case. 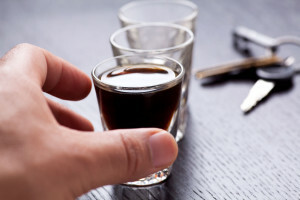 You could end up with harsher DUI penalties along with a one-year driver’s license suspension. The assumption is that if you refuse to take the tests, you are guilty of driving drunk and impaired. If the test results indicate that you were driving under the influence of alcohol and your blood alcohol (BAC) level was 0.08% or higher, you will find yourself under arrest, booked, and put in the county jail. The next step you take is vital to your future. You need to call DUI attorney David Knoll. With decades of DUI legal experience, he will clearly explain your legal situation and what steps you need to take. What happens when you are charged with a misdemeanor DUI? Drunk or impaired drivers can be charged with either a misdemeanor DUI or felony DUI. A misdemeanor DUI is the lesser charge and usually means that you are a DUI first offender with a clean record. It also means there were no injuries inflicted on anyone nor were there any aggravated DUI wrongdoings due to your driving drunk or being under the influence of drugs. When charged with a DUI misdemeanor, the police release you soon after your arrest with two documents. One is a citation to appear in court, and the other is a temporary driver’s license. If your BAC was 0.08% or higher, they will confiscate your original license and mail it to the Department of Motor Vehicles (DMV). It is very important that you contact the DMV within ten days of your arrest to set up a hearing. If you fail to do this, you forfeit your right to a hearing and the DMV will automatically suspend your license after 30 days. If you are charged with driving impaired and not drunk driving, you will not need a hearing with the DMV, but you still have to appear in court. Let DUI attorney David Knoll take care of this matter for you. He can request an extension to ensure you get a fair DMV hearing and provide experienced counsel when you have to appear in court. Don’t do it alone! 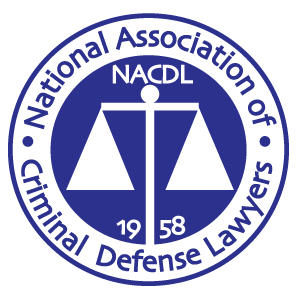 Contact us to learn how we can handle your DMV hearing and court appearance together!